I’m often asked how do you select a good mentor? Role models are an important way to learn. We’ve been using them since we were kids: Watching how other people do things, copying their behaviour and then modeling it to make it our own. Most of what we learn is experiential, we learn by trial and error – hit or miss! This can be hard work, frustrating, and cost time, effort and money! It’s hard to do everything on your own. Sometimes it’s important to reach out for help to someone who is a head of you on the journey. Some people say ALL the right things (especially on the internet! ), they have an exciting website claiming success and oozing confidence. However, on closer inspection you find that they are not what they claim to be and are just copying authentic mentors and claiming false expertise. These people create a negative experience because there is no depth or breadth to their knowledge or expertise (in other words they are full of BS!). You will walk away from this feeling disappointed and confused. They are false and incongruent. Here’s what I know and share with my clients. 1. The AFTER of your BEFORE! Selecting a good mentor can save you time and stop you from making mistakes. They can help you get further faster because they have already experienced what you want to learn and are two or three levels ahead of you – they can speak your language. You can learn from their wisdom and experience. Select the best, you deserve to learn from someone who has already been there and achieved what you want to achieve. As you progress to another level, you’ll choose a different mentor who is at a higher level (don’t reach too high too soon!). 2. Authentic. There is more to a good mentor than just their professionalism, skills and expertise. To be an inspirational role model they have to demonstrate personal characteristics that you’d like to emulate too. How you do anything, is how you do everything! It’s not just the qualification that counts – it’s the application of the qualification. Personal and professional are linked and inter-connected. Having similar values are hugely important if you want the learning experience to be successful. Their values will influence yours and if they are incongruent, the relationship won’t work. Check this out through their published work, how they show up and through testimonials. Professional and personal go hand in hand – check this out. Do you like them and what they stand for? 3. ‘Wise’ and credible. 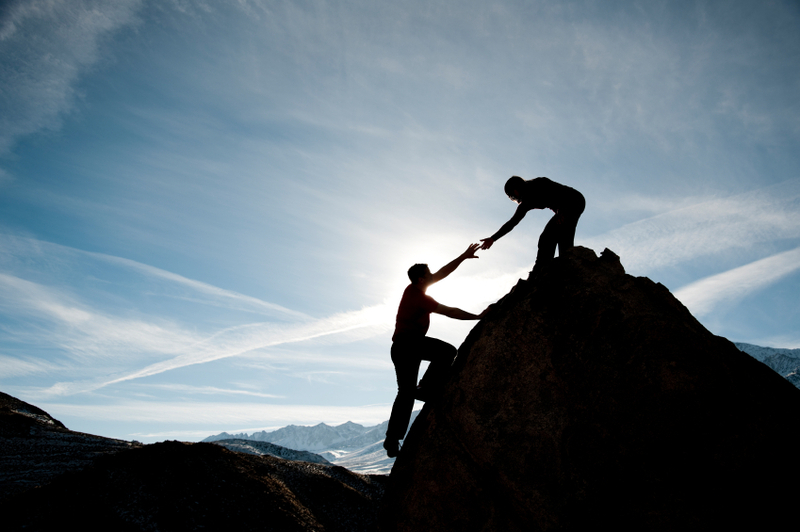 The most common definition of mentoring comes from the Greeks: A wise and trusted advisor. A good mentor is intuitive and can provide great guidance with just a few words. They bring a different perspective to your situation. Having the ability to laser into the situation they can help you to see hidden opportunities to make the undoable – doable. They also demonstrate success through proven experience in their profession. Seek out the advice of people who are actively successful in what you want to learn. Their credibility is real and not just claimed! 4. Changes lives. There is a huge difference between mentors who claim this and those that actually add value and make a difference. You can feel the difference at a cellular level. Genuine mentors model personal growth. They help you to change YOUR world, unlock your potential and help you to grow by increasing your self-awareness. The people you choose to model and take advice from actually help shape the person you become. They help you to be yourself and not a distorted image of them. 5. Cares about you and your success. If your mentor doesn’t care about you, then the relationship will fail. I was once mentored by a selfish person who was only out to satisfy his own agenda: money and perceived power. Good mentors have a high level of emotional awareness and support you from the head and the heart. They offer friendship and guidance in an unselfish way. Your mentor always sees you in your highest light and works to help you reach your true potential. They are accessible and available to support you. The greatest learning influences in my life are my mentors, people who I model and take advice from. They have helped to shape me to become the person I am today. I’m honored and blessed to have them in my life. A good mentor will make a huge difference to you personally and professionally… You can also pay it forward by becoming a mentor to others.